» Swig Savvy vs. Hydro Flask: Which is Best for your Outdoor Adventures? Swig Savvy vs. Hydro Flask: Which is Best for your Outdoor Adventures? Insulated bottles are a sort of combination between a sports bottle and a steel thermos, and they’re an incredibly practical, versatile option (not to mention environment-friendly) for both your outdoor adventures and your everyday life. Brings yours along to the beach or your wintertime camping trip, on your next day hike or to the office – whatever you’re doing and whatever you want to drink while you do it, your insulated bottle will be a fantastic companion. There are a lot of insulated bottles on the market today, but they don’t all include each and every feature you’re going to want – and you may not even know you need those features until it’s too late (say, when your mocha leaks inside your backpack and ruins everything you’re carrying). Keep the following features in mind in order to narrow down your choices and choose the right bottle for you. Think about how much of your beverage you want to carry with you throughout the day – to do this, you may need to think about whether or not you’ll be able to stop for a refill at some point, particularly if you’re carrying water. Also, think about what you can reasonably carry with you. If weight or space is a consideration, you may want to go with a smaller bottle. Also, think about the shape of the bottle and how easily you need to grab it. For example, if you’ll be cycling, the bottle needs to be sleek and light so you can handle it easily. If you’re going to be taking your bottle with you on a long drive or if you want to sip from it during your morning commute, make sure it’ll fit in your cup holder. I have a large Hydro Flask (full review here!) that doesn’t fit in any of my cup holders, and while it’s inconvenient to drink from it while I’m driving, it is nice to know it can roll around on the seat and I don’t have to worry about it spilling. Today, a lot of insulated water bottles are made with recycled materials. Also, since high quality insulated bottles are so well-constructed, they’ll last for years to come, cutting down on (or completely eliminating) the number of plastic water bottles you use each year. Additionally, a lot of insulated water bottles can be recycled when you’re ready for a new one. Many insulated bottles come with a wide mouth lid, which is convenient for filling up the bottle and adding ice. However, I never like drinking out of this type of lid because it’s so easy for the liquid to spill on me. I have an alternative Hydro Flask lid with a flip top, similar to what you’d find on a to-go coffee cup. If you’re going to be drinking on-the-go, consider something that’s easier to drink from than the wide mouth lid or look for a bottle that has an integrated straw. The absolute most important feature of your bottle’s lid is that it’s leak-proof. If you’re going to swap the lids out, then those lids have to be leak-proof too. 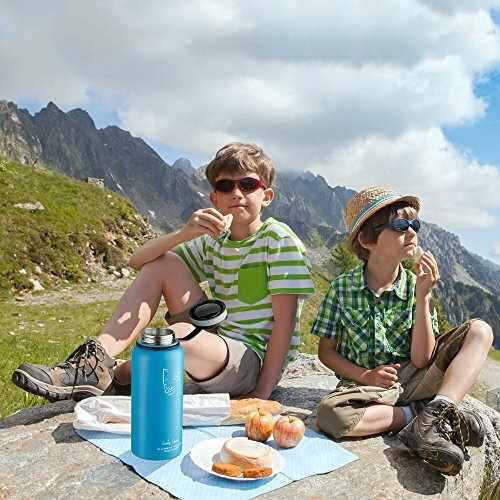 Today, the best-insulated bottles are BPA-free and made from high-quality stainless steel. BPA stands for Bisphenol A, which is an organic compound that’s used to create all different types of polycarbonate plastic. These plastics are then used in water bottles. BPA comes with health risks, particularly in fetuses, and it can have serious negative effects on newborns as well as young girls. When your bottle is BPA-free, harmful toxins won’t leach into your beverage. Your bottle should also be double-walled and have a vacuum between the walls with reflective material, which is what keeps heat from transferring and retains the temperature of your beverage. If the bottle is colored, the color should be a powder-coat instead of paint. This is what makes it scratch-free, whereas paint could simply scratch off or wear off over time. You may also want to look for a textured finish that will help improve grip if you’re going to be drinking from the bottle while you’re on the go. A well-made bottle will keep your cold drinks cold for up to 24 hours or even longer in some cases. It’s harder to keep things super hot for that long, but an insulated cup should be able to keep a hot beverage piping for 6 to 12 hours. The double-walled construction, along with the vacuumed walls and the reflective materials inside, is what keeps the temperature of the beverage stable – heat can’t get in or get out. The screw-on, sealing lid also plays a role in this. While this article is going to focus on Hydro Flask and Swig Savvy insulated bottles, we wanted to quickly mention a few other types of bottles for clarification and in case these bottles suit your needs better. 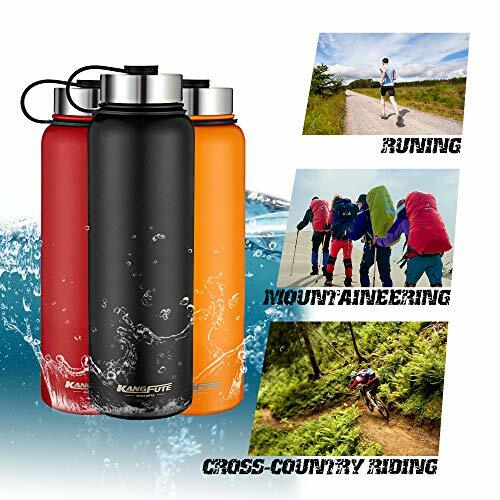 These bottles are great for outdoor enthusiasts or travelers because they’re small, lightweight and can collapse when not filled (or partially collapse when partially filled). The ones I have don’t have insulating properties, so their main purpose is convenience. Glass water bottles are not made with any harmful materials, like metal or plastic. 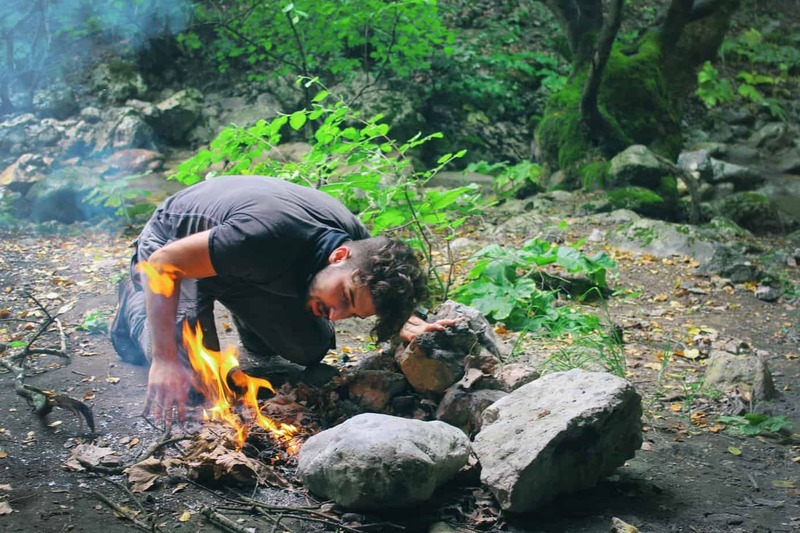 Since they’re glass, though, it’s best to use these bottles only if you’re not going to be doing any type of intense activity where it could shatter – even shatterproof glass is riskier than something like stainless steel if you’re backpacking or climbing. 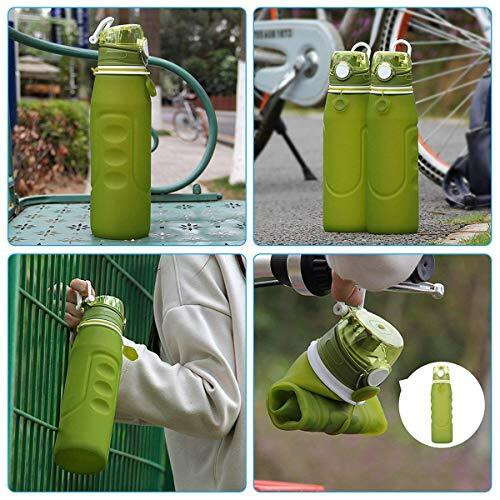 Stainless steel water bottles – not the ones in this comparison, which are insulated – are a popular option because they’re typically void of BPA and other harmful materials, and they’re also usually lightweight. They’re only good for cold beverages, though, and won’t necessarily keep your hot beverages warm throughout the day. Hydro Flask makes double-walled, vacuum-insulated bottles that keep hot drinks hot and cold drinks cold. Hot coffee that you want to enjoy once you’ve reached the mountain summit, a cold smoothie that you want to nurse during the day – whatever. I filled mine up with hot water one day to help quell a cough, and it actually stayed too hot, even hours later – I had to leave the top off for a while to make it drinkable. Hydro Flask also has an array of other products, including to-go coffee mugs, beer growlers, tumblers and more. Hot drinks will stay hot for 12 hours and cold drinks will stay cold for 24 hours. Leak-proof. Add supplements to your water and shake it up without risking spillage. I’ve tossed mine in a bag as I’m heading out without worrying about it all – it’s never so much as had a droplet of liquid spill out of it. Made from food-grade stainless steel, and without the metal-y taste, you might expect. Scratch-resistant thanks to the powder-coated finished. Also, powder coating feels good in your hand and it keeps you from getting burned, no matter how hot the drink inside may be. Standard and wide mouth options and the wide mouth is plenty large to add ice cubes to your drink. There’s also a sports cap you can use on the Hydro Flask. Convenient carrying handle on the lid. Swig Savvy is best known for their wide mouth water bottles, and their selection includes a stainless steel, insulated option. Hot drinks will stay hot for 12 hours and cold beverages will stay cold for 24 hours. Wide mouth for easy filling and cleaning. 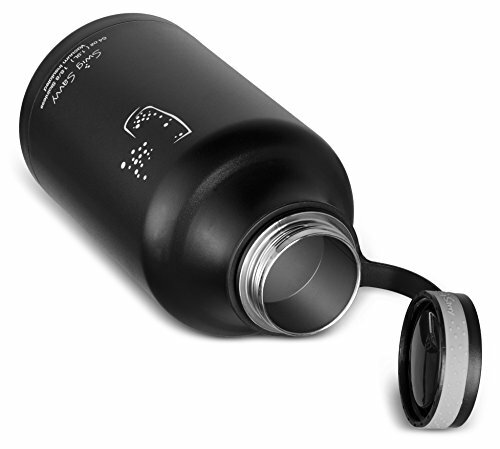 A leak-proof lid that can also be used as a drinking cup. Neoprene pouch makes it easy to carry. The Swig Savvy stainless steel, insulated bottle comes in 30 oz and 40 oz sizes, and there are interchangeable caps including the sports cap and the coffee lid. They also have a 17 oz soda-shaped bottle (tapered at the top); a 32 oz version with a straw cap; and a 64 oz beer growler that can be used as a hot or cold bottle. Swig Savvyalso sells other types of water bottles without the insulation. Remove the bottle cap and add 2 tablespoons of vinegar to the bottle (white vinegar is usually good for cleaning). Replace the cap and screw it on tightly, then shake vigorously for 20 seconds. Remove the cap and add water to the bottle (with the vinegar still inside) until the bottle is filled up one-third of the way. Use a gentle bottle brush to scrub the inside of the bottle with the vinegar-water mix. Replace the cap, screw it on tightly and shake vigorously for 10 seconds. Remove the cap and empty the contents, then rinse the bottle thoroughly. Most importantly, both bottles maintain your beverage temperature for hours. We really like that the Swig Savvy bottle comes with a carrying pouch, but if you don’t think you’re going to use this – if your bottle is always going to get flung in your bag or backpack – the pouch may not be a decision-maker for you. Both bottles travel equally well thanks to their leak-proof seals. We feel that the biggest differences lie in availability – you may prefer a size that only Hydro Flask offers or want the slimmer shape of the soda-style bottle from Swig Savvy. To choose between the two, consider exactly how you’ll be using it to determine the size, shape and lid style that will work for you. Insulated water bottles are a convenient, practical choice for practically everyone, no matter how you spend your days, and they can go a long way to helping you lead a healthier, more eco-conscious life. KleanKanteen vs Hydro Flask: Choose One!